Shout out to @cruzcombat thanks for the amazing custom rashguard!!! I LOVE IT!! Your work is amazing and rashguard fits and feels great. Highly recommend @cruzcombat for any custom rash guard work y'all!! @10patx@eddiebravo10 #cruzcombat #killbodies#fujawa #10patx #10p4l #cruzcmbt#madeintheusa #madeintexas #texasshout out @johnczertuche @wearetdh for designing the graphics, KILLED IT! "Fedor sweater rashguard!!! Just stop. Just stop whatever your doing and place your moistened eyes on this Fedor rashguard made in the likeness of the most famous sweater in all of combat sports. Can’t stop looking at it. Thanks to our friends at Cruz Combat, you to can own your very own Fedor sweater of glorious absolute victory but in rashguard form. Every grappling athlete worth his weight should own this and even if you’re not hitting the mats weekly you may want to invest in this Fedor sweater rashguard. Alone at your house playing video games? Yup, you should be wearing that sweater rashguard. Important job interview that may make or break your future? You should definitely be wearing that awesome sweater rashguard. First date at a fancy seafood restaurant? Of course you should wear the epic sweater of The Gods rashguard. Wedding days, child births, funerals in our humble opinion are all appropriate times to wear your brand new Fedor sweater rashguard. Fedor sweater rashguard!!!" CRUZ CMBT x Meerkatsu custom rashgaurd contest design. Winner was allowed their choice of Meerkastu illustrations for the custom piece. Fighter's Only Magazine (UK Edition). Charlie "The Spaniard" Brenneman feature. "...I also like Cruz Combat fightshorts. 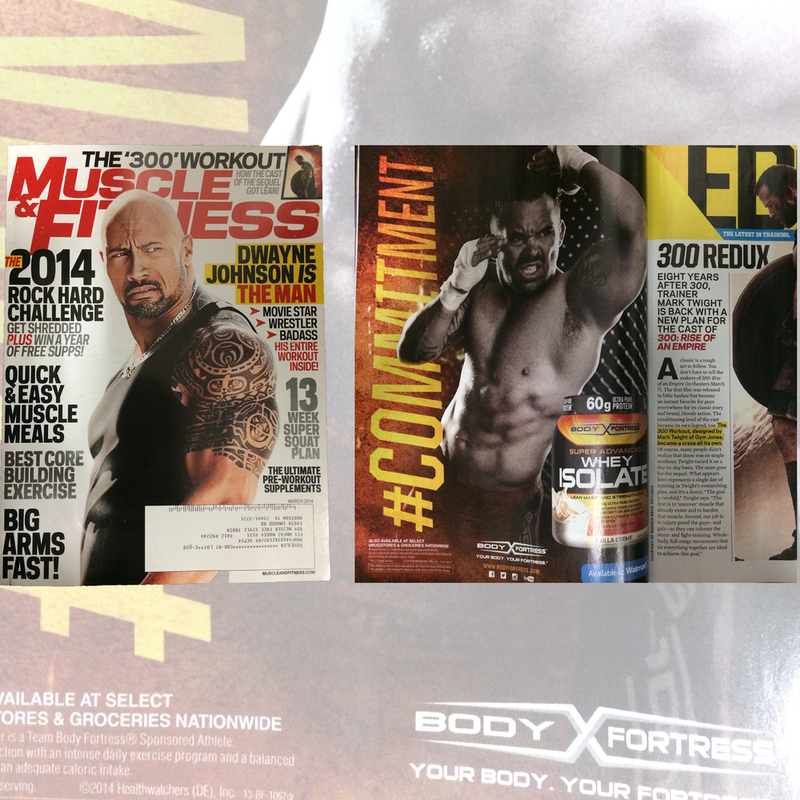 The company has sponsored me in the past and has a great product." 002 Houston Mag. Combat Sambo 50/50 and Cropped Event Custom Fightshorts featured in Vico Puentes' Style + Leisure segment. "CRUZ CMBT is doing the best job at making custom MMA/No Gi apparel right now. It blows my mind I don’t see more people with there gear on. For my last fight they hooked me up with custom fight shorts and walk out shirt, which was the most comfortable stuff I’ve ever worn. Guy and Ryan are doing it right, made in America and no minimum order quantity. 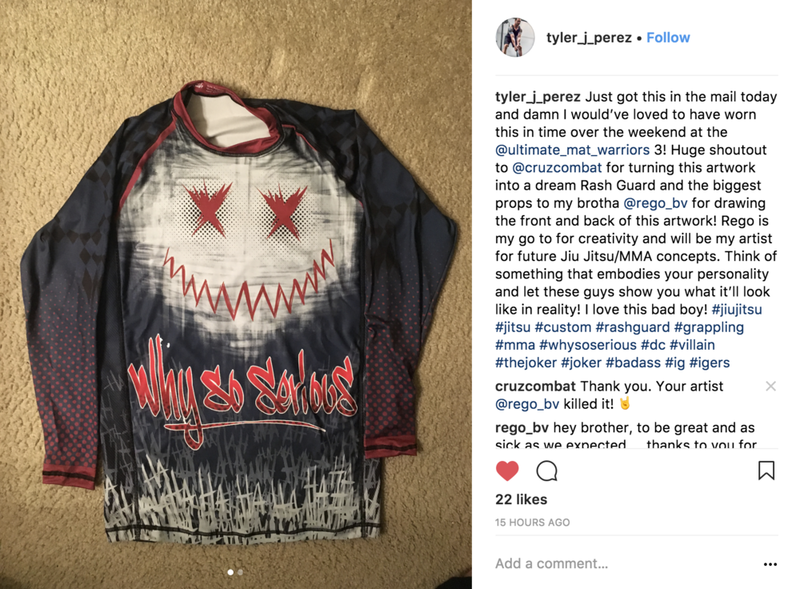 That’s amazing, you can just get a one of a kind custom rash guard and the cost is almost the same if you bought one with some big brand name all over it. “The rashguard came in, it was amazing! To say I am a satisfied customer is an understatement. No sooner did my kid try the one you sent on than we were designing her the next one. Happy New Year!” -Noe V.
Muscle and Fitness Mag had some of our fightshorts featured in an ad (look closely) on UFC athlete Jamie Varner. They were done as a custom order from Body Fortress. CRUZ CMBT Cropped Fightshorts review by Blair Dennett. SAN magazine ad featuring athlete Johny Hendricks in CRUZ CMBT Event Custom Fightshorts. "Got it today and the shorts are awesome! Thank you and I will definitely keep you in my contact list.